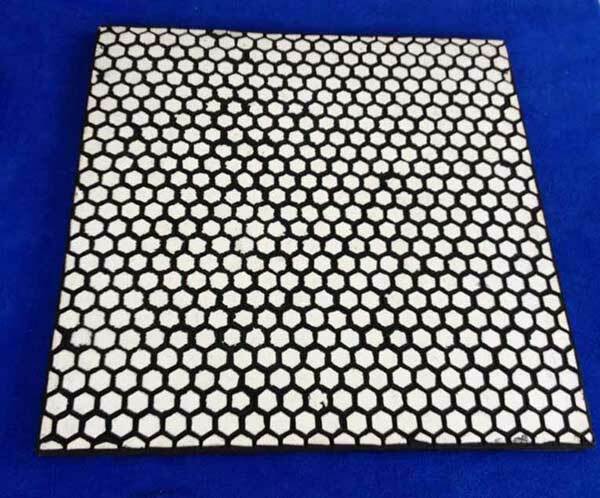 Chemshun alumina ceramic Hexagonal Mat, square mosaic ceramic sheet as an excellent wear resistance materials and easy fixing method are popular in market. 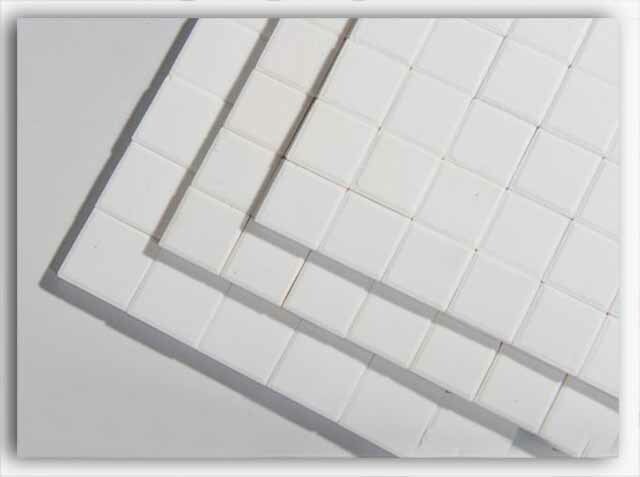 > Item:Alumina Ceramic Hex./square Tile on Nylon Mat/Silk Mat/Paper Mat. Square tile 10x10x2mm, 10x10x3mm, 10x10x4mm, 10x10x8mm, 17.5×17.5×3~10mm. 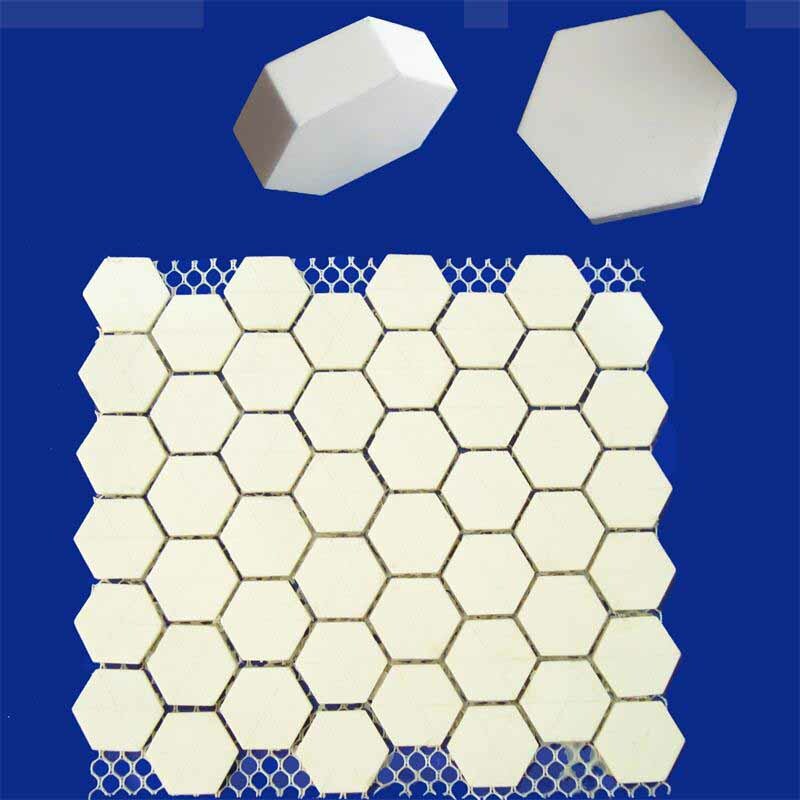 The wear resistance alumina ceramic Hexagonal Mat, square mosaic ceramic sheet products are made from the high purity, super fine and single narrow particle high-quality grain alumina powder, which is spray-dried processing, formed by cold isostatic pressing, firing on 1520 º C~1650 º C temperature. Subject to Al2O3 content difference, we have 92%, 95%,abrasion resistance ceramics. > Used to construct ceramic rubber plate as wear-and-impact-resistant lining. > Used as Alumin ceramic materials on the industries of chemical, , mining, metallurgical, cement etc. Directly fixing on the equipment, easy control and application. > Used as component of ceramic bearing. Nylon Net /sick back /paper back Size: 150x 150mm, 300x300mm, 500×500 etc. Other size could also provided according to the customer’s requirement. Brazil,Australia,America, Canada,Germany, Denmark, England, etc. > Providing good services in shipment with more than 12years rich experiences.